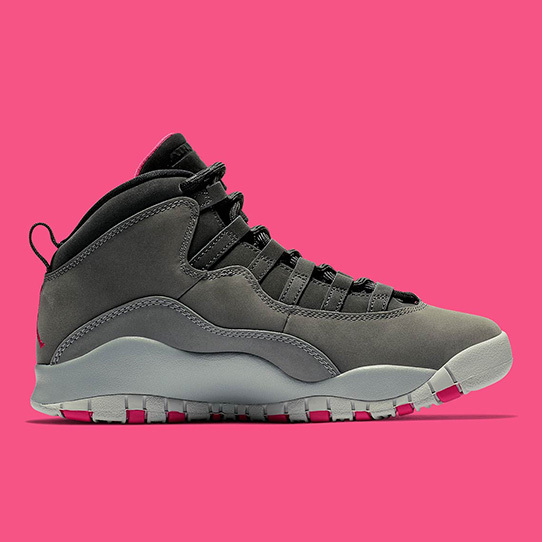 Back | Home / Air Jordan 10 "Smoke Grey"
Air Jordan 10 "Smoke Grey"
This month, the Jordan Brand will be continuing its concerted effort toward other demographics outside of adult male sneakerheads with another GS-exclusive Jumpman release. 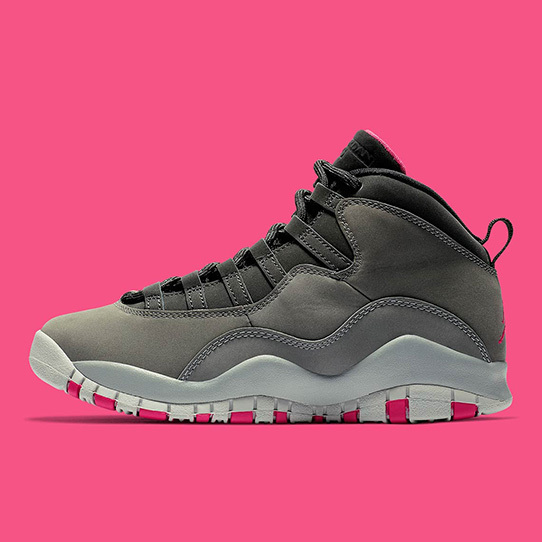 Given a “Smoke Grey” monicker, this Air Jordan 10 calls upon an array of autumn colors including dark grey, Rush Pink, and Iron Grey. 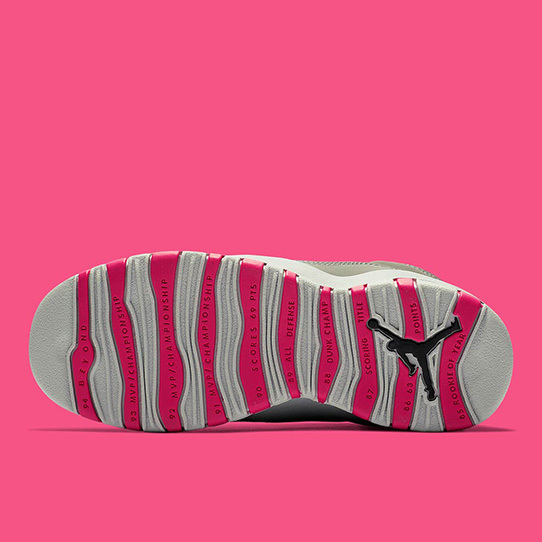 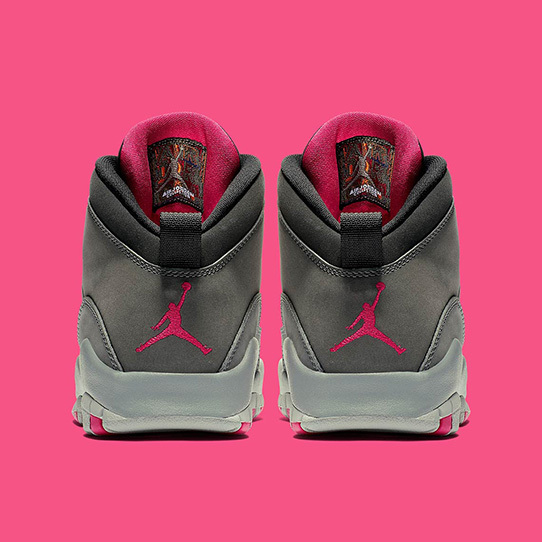 Pink provides this iteration’s lone swathe of color on its heel emblem, outsole striping, and on the lining of its padded tongue. 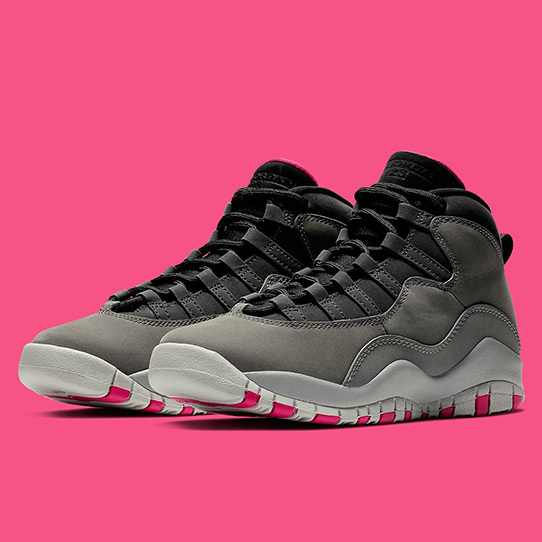 Black on this iteration’s throat provides contrast while the two different shades of grey provide depth, adding another element to this GS-sized selection.